To Register, Please Call (203) 857 – 1500 or by clicking the button below! War, natural disasters, the loss of a loved one, and financial insecurity: these in so many more situations can cost the “bottom to fall out” of our lives. When emotional trauma goes on heels, the body system is in a constant state of heightened stress. Numerous studies have connected this type of stress with lower immune function and higher incidences of disease in general. Chronic fatigue and stress are so common in our culture today that most people believe it has become a new norm. Chronic fatigue is a symptom – along with depression, mood swings, anxiety and irritability – what should be addressed, because it means that the aging and disease process is accelerating. 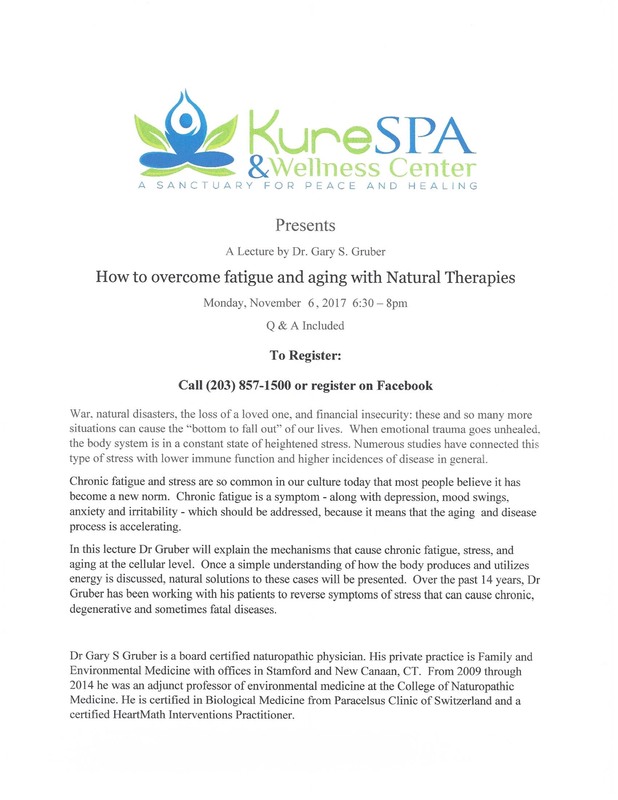 In this lecture Dr. Gruber will explain the mechanisms that caused chronic fatigue, stress, an aging at the cellular level. Once a simple understanding of how the body produces and utilizes energy is discussed, natural solutions to these cases will be presented. Over the past 14 years, Dr. Gruber has been working with his patients to reverse symptoms of stress that can cause chronic, degenerative and sometimes fatal diseases.